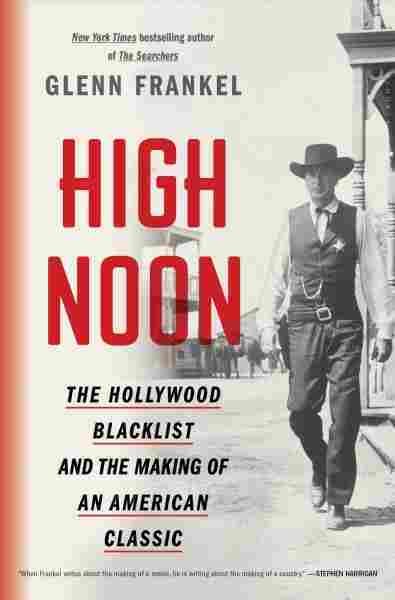 What A Classic '50s Western Can Teach Us About The Hollywood Blacklist Author Glenn Frankel says the 1952 film High Noon was inspired by the toxic political climate of the time. "People ... felt they want to get their country back," Frankel says. Gary Cooper plays the sheriff in the 1952 film High Noon. Author Glenn Frankel says the film can be viewed as a parable for the Hollywood blacklist era. In the late 1940s and early 1950s, as anti-communist sentiment gained ground in the United States, paranoia and persecution swept through Hollywood. The House Un-American Activities (HUAC) began interrogating some of the country's most talented filmmakers and actors, accusing them of being communists or communist sympathizers. Author Glenn Frankel tells Fresh Air's Terry Gross that the government was "looking to see or to prove that there had been communist infiltration in Hollywood, that this was part of a mass plot engineered by Moscow to take over our cultural institutions." Many who appeared before the HUAC were put on a blacklist that made it impossible for them to work in show business. Among the blacklisted was screenwriter Carl Foreman, whose 1952 classic western High Noon is seen as a parable about the toxic political climate of the time. Frankel revisits the film — and Foreman's experiences testifying on Capitol Hill — in his new book, also called High Noon. Frankel says that the Hollywood blacklist era was fueled by a fear that the country was being usurped by outsiders — a feeling that still resonates in today's political climate. "The blacklist movement stems out of a backlash by people who felt they want to get their country back," Frankel says. "In those days it was [from] communists, and Jews and liberals. Today you might say it's Islamic terrorists and undocumented immigrants." The idea of these hearings was to expose the so-called "commies" and have them purged from Hollywood, to get rid of the red influence that they said — they never proved it, they never had data to back it up, but that they said — was attempting to take over on many different levels in Hollywood, the trade unions for the crafts, the folks who were in the talent guilds, like the Screenwriters Guild. The idea was to root out this communist influence, identify these folks, get them out of there and turn the movies into ... Americanist kind of propaganda. it was a purity ritual. ... It also was a sort of self-humiliation ritual and without naming names, the conversion back to Americanism wasn't considered genuine. They were being required to confess to their involvement in leftist causes, whether they had been members of the Communist Party or whether they were simply involved in progressive organizations that might have at one point or another, been allied with the communists in some sort of joint movement. For example, in the anti-Nazi movement ... so they had to own up to that. But that wasn't enough. They had to praise the committee for its courageous work in rooting out the "communist menace," they had to describe the communist menace and then finally to make everything clear, they had to name names, they had to single out other people who had been in the party with them and present those names in public in order ... it was a purity ritual if you will, it also was a sort of self-humiliation ritual and without naming names, the conversion back to Americanism wasn't considered genuine. 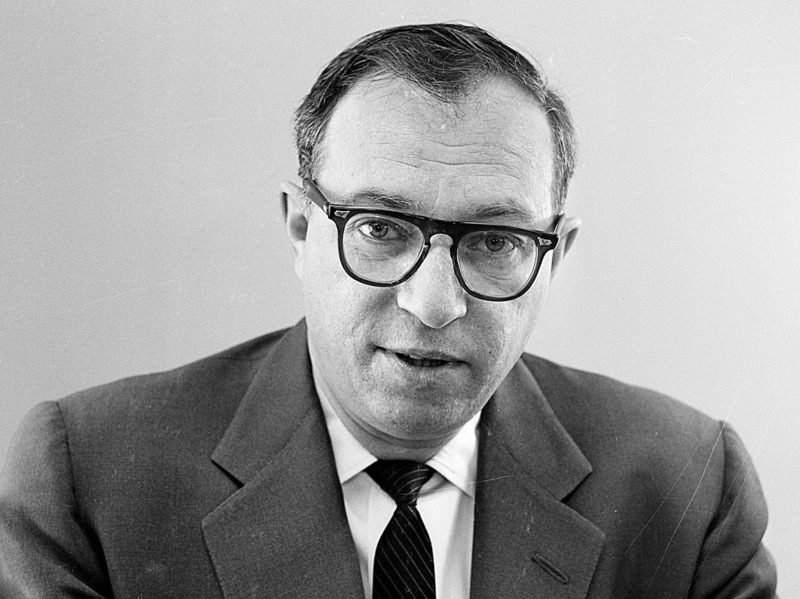 Screenwriter Carl Foreman moved to England after being blacklisted in the film industry in 1951 for his alleged Communist sympathies. He and his wife, Estelle, when they came out to Hollywood in 1938, had fairly quickly joined the party. It was a time — remember we're talking about the tail end of the Great Depression, we're talking about a time when the progressive movement was in alliance with the small American Communist Party. And he saw the Communist Party as a lot of his fellow members did — as a force that was fighting fascism, that was fighting for civil rights, all kinds of things. Gradually he soured on it. ... Nonetheless, he had friends in the party ... so he was put in a very difficult situation, because he wasn't in the party anymore. He didn't want to risk his wonderful career, which was just reaching its height, but at the same time, he didn't want to name names. He didn't want to rat out the people who he had been close to. I found Carl so interesting, because he's not a big hero. He's not up there trying to be a martyr. He's just trying to figure out a way to get through this and still be an honorable person — in many way just like the lawman in High Noon. He gets there and he is rather coy. ... He says I'm not a member of the Communist party now and says that by saying: Look, last year everyone in the Screenwriters Guild in the executive board were required to fill out a loyalty oath, and I signed the loyalty oath then saying I wasn't a member of the party. That statement is still true. But that's as far as he would go. He wouldn't denounce the Communist Party. When asked repeatedly if he'd been a member before he signed the oath, say in the 1940s, he cited the 5th Amendment against incriminating himself. He simply wouldn't play the game ... I think he knew or he came to know that this wouldn't work, that it might keep him from going to jail, but wouldn't keep him from the blacklist. 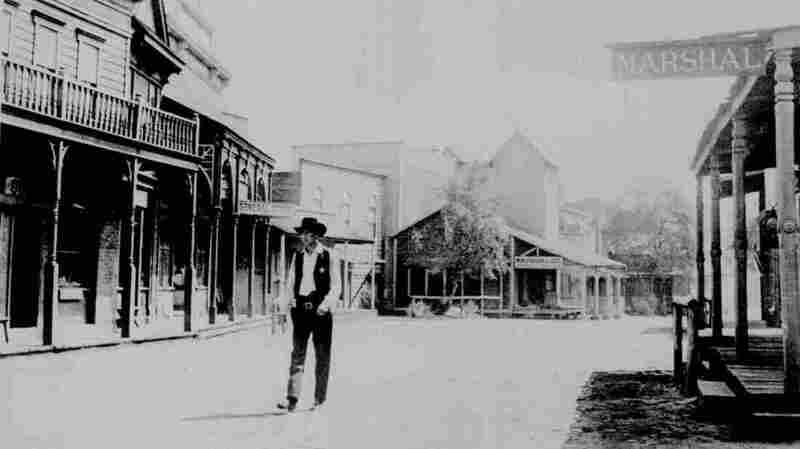 [The film] is set in the fictional place called Hadleyville, which sounds a lot like Hollywood. ... This bad guy who used to run the town is coming back and he's got three thugs waiting for him and they are going to seek out and kill the marshal, the lawman who had resisted them and put him in jail years earlier. The lawman ... played by Gary Cooper, thinks he can rely on the community, the same way he did originally when they imprisoned these guys to support him, but he finds ... that the community is not backing him. There is a sort of moral corruption going on, there is a cowardice, and he ends up standing alone and that's exactly I think the point that Carl [Foreman] was trying to make, that Hollywood when faced with these gunmen, thugs — whatever you want to call them — of the committee coming back to Hollywood, didn't stand up. He found himself being shunned, friends crossed the street to avoid talking to him. It creates a political movement that takes advantage of the Cold War atmosphere and the anxiety in society and lashes back and that's exactly what we saw in the late '40s and I think you can see lot of similarities to what's going on now with the ascendancy of Donald Trump and a sort of new neo-populist movement.